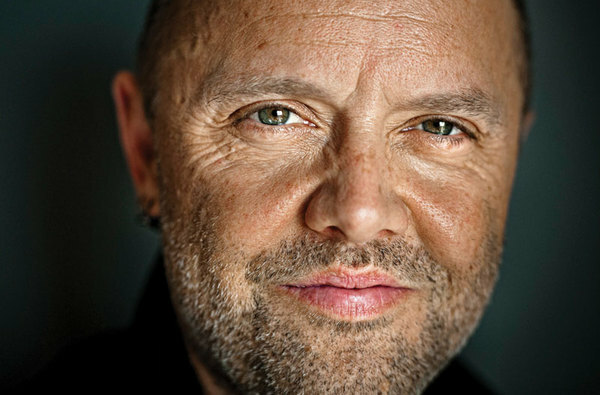 Is Metallica Drummer Lars Ulrich Dead? Unconfirmed rumors of the death of Lars Ulrich were nowhere to be found on the Internet this morning only moments before this article was published. No credible source with knowledge of Ulrich’s current whereabouts has commented on the matter or even been asked about his passing. This won’t stop many members of the mindless, bloodthirsty mob known affectionately as “the public” from believing that Lars has died. In spite of the fact that no one has asked the band, many believe that Lars is dead due to the fact that some dude sitting in his living room typed out a bunch of words, attached some pictures and hit the publish button. The torrent of silence on this non-issue has left many to speculate that there might be some sort of cover up. “Where there is smoke, there is often fire. Or, at least, smoke,” said Metallica fan and frequent Facebook opinion giver Steve Weremembercliff. Fans of the band, hoping desperately to be the first to inform everyone of his death, will plunge headlong into a frenzy of article sharing without reading its contents. In some cases, they may read the article and repost it hoping for that amazing feeling of superiority one gets when realizing that there are many people in the world dumber and more gullible than they are. The author of the article also plans to revel in this cheap, but highly stimulating thrill. At first, some will be saddened by his mock death. This will be followed by a flood of indignation from a public who loves both the feeling of false community experienced when they can passively observe the suffering of strangers from a safe distance with others and the feeling of righteous anger that typically follows being suckered for the 8 millionth time by some degenerate hustler trying to milk out a few more “unique visitors”. This entry was posted on November 21, 2014, 9:30 AM and is filed under Excessive Cruelty Towards Strangers. You can follow any responses to this entry through RSS 2.0. You can leave a response, or trackback from your own site. Could’ve at least quoted a Metallica song in an article about a band member. This article doesn’t mention the millions of people that will be disappointed to find he’s NOT dead. It’s okay guys, time marches on.